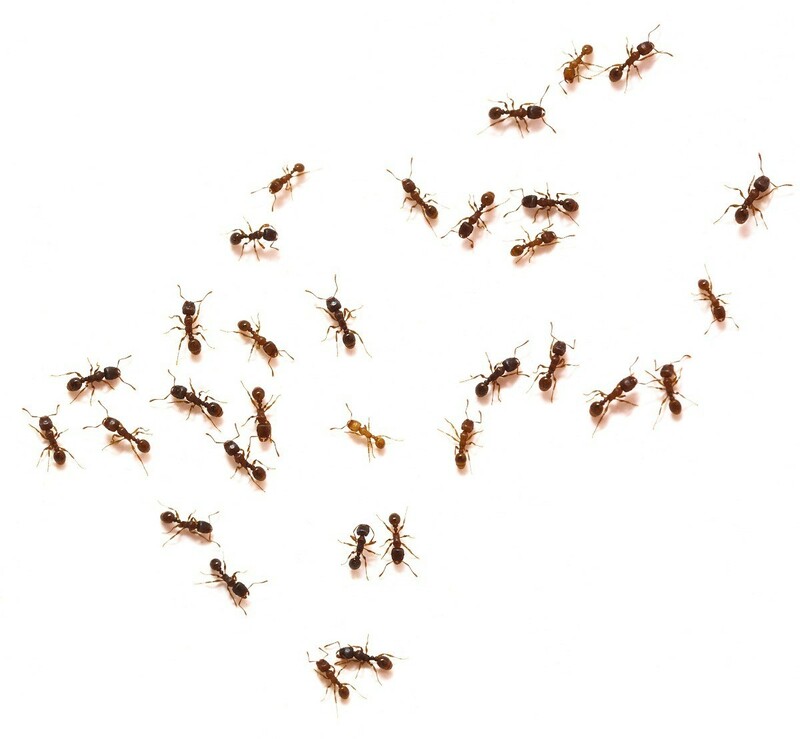 Have ants taken up residence in your home? 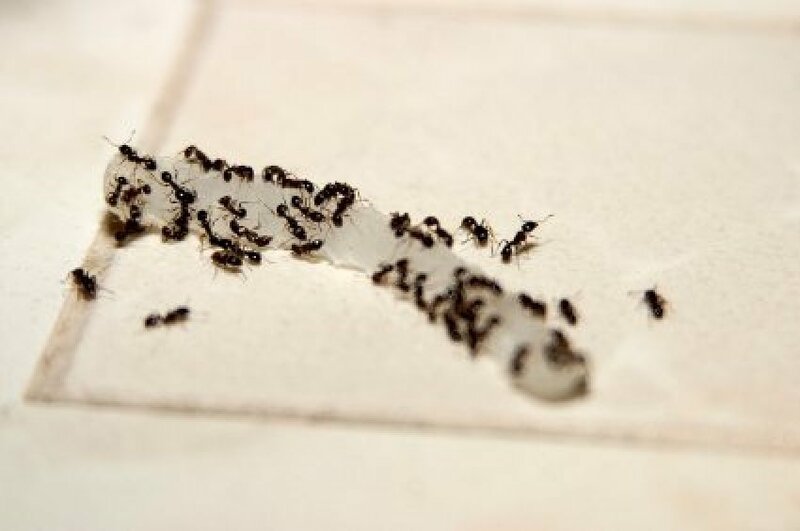 The kitchen can be a challenging place to get rid of ants since there are so many sources of food. This is a guide about getting rid of ants in your kitchen. When I was growing up during the warm summer months my grandma's kitchen would be filled with ants. Each morning we would wake up to ants around the sink, on the counters, and crawling up the cupboards. One day she hired a person to come to the house to spray for the ants. 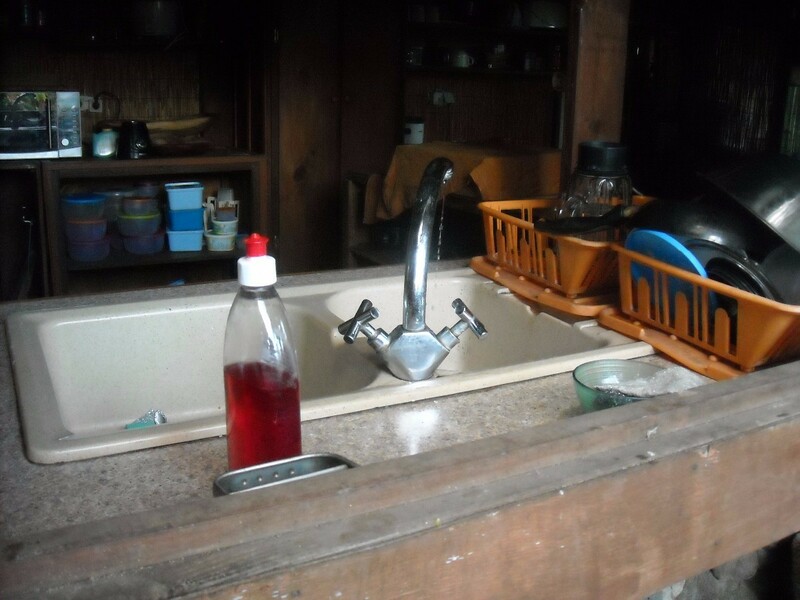 Afterwards, we couldn't use the kitchen for several hours and had to disinfect the countertops and sink area. After the spraying my grandmother took sick. The smell of the spray was toxic to her and put her in the hospital for a few days. During this time I needed to clean the kitchen and try to air out the home so she could return. 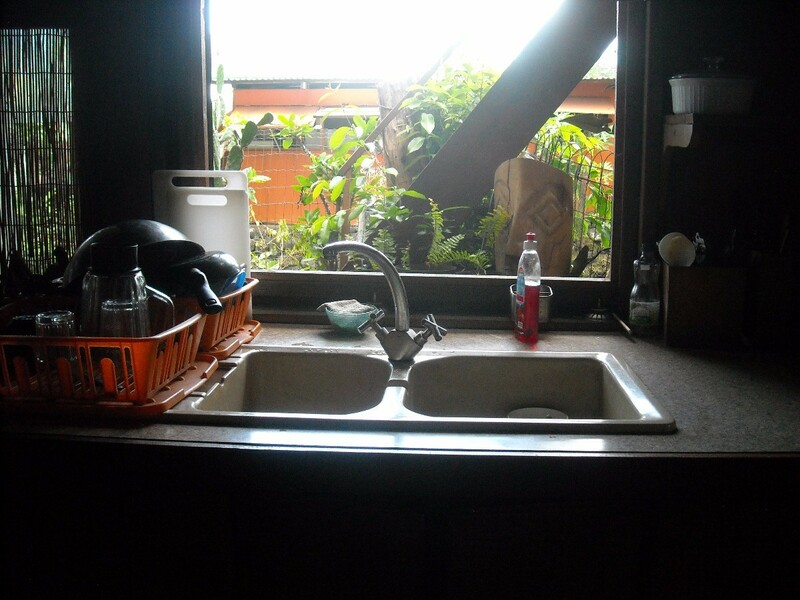 I decided to clean the windows in the kitchen. I noticed that we had ants again. The spay they used didn't stop the ants in the kitchen or garden. When I was cleaning the windows I decided to spray the ants with Windex. I saw the ants dying off quickly. For the next week we didn't have a single ant in our kitchen. When the ants returned a few weeks later I sprayed them again with Windex. This seemed to be the perfect solution to control the ants in the kitchen. Windex was't harmful to my grandmother and the ammonia in the Windex was perfect for cleaning the kitchen. We used Windex on the stove and refrigerator to clean the stovetop and outside of the refrigerator. Now we used Windex on the counter, around the baseboards, and sink area. We no longer had ants in our home. Years ago we didn't have Internet, home remedies, or other solutions to control ants. When we had an ant problem we just took out the bottle of Windex and sprayed the kitchen. Today I still use Windex or another brand of window cleaner to control ants in my home. I guess some old tricks stick with us through the years. Follow the ants' trail and try to find where they are entering from. Spray the area with lemon scented furniture polish (Pledge) and they will stop entering the house, kitchen, or wherever you see them. You may have multiple areas where they are coming in, so you would have to spray all of them. In my experience, I only had ants in an isolated area so it was pretty easy to find the source, on the floor baseboard from a crack in the the front of the house. I simply sprayed the furniture polish in that spot inside and left it. I didn't wipe it up or clean it off. I never saw ants again in the five years I lived there! Ants will come in from somewhere and go towards food sources so you might not necessarily have them coming in where you store the food. Hopefully this helps! If you see ants in your kitchen, it's really pointless to kill them. If you kill 10, they won't be missed by the nest which may contain thousands. You can use these 10+ ants to your advantage. Providing the ants are crawling (Funny, a thought just occurred to me. Why do we say ants crawl? I'm sure they walk. Correct me if I'm wrong). Ahem, anyway, providing the ants are crawling in an area of you kitchen where it would be safe to dust them with boric acid, do so. Between the kitchen faucet and the back splash is where I get the most. If you kill 10, then you've just killed 10. But if you reach under the sink where you have stored a half cup of boric acid (properly labeled), and a cheap dollar tree brush (properly labeled), dip the brush in the acid and lightly tap the brush over the ants, then you've done a lot more. Dusting the ants will disorient them. They will go back to the nest, taking the deadly (to them), boric acid with them. * They die and are fed to the young. You know the story. Eventually the queen gets her share. A one time dusting of a few ants will not wipe out the colony. But, if this procedure is repeated a few times, you can wipe out the colony. It shouldn't take more than three days. It occurred to me years ago to do this. It has proven to be the most effective way I know to keep the kitchen free of ants. 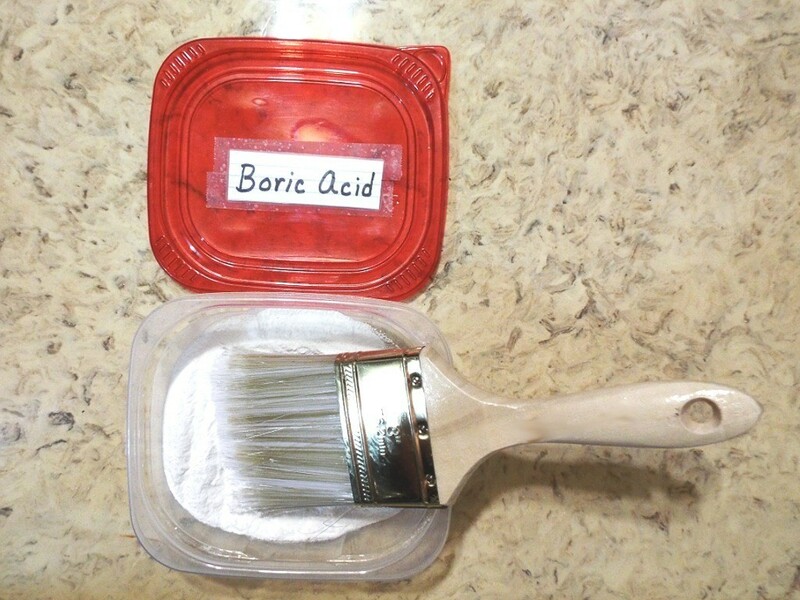 Boric acid is cheap. I clean up any residue with a damp paper towel and toss it. I re-apply it when and where I see a need. *From Wikipedia: 'Boric acid is only poisonous if taken internally or inhaled in large quantities'. I learned today that the cheap nonstick cooking oil spray kills black kitchen ants on contact, even if it lacks the ability to keep them from coming back. To deter ants from invading your house, find out where they are getting in and lay bay leaves along their track - they will go away fast! It was always one of those dreaded calling cards of Spring; the annual invasion of the Micro Ants, with lines snaking from my window or under sink to the nearest cabinet with anything sweet inside! I use a peeled strip from a cucumber, the green skin. Lay it down where they are. It works even when dried up. Does not harm pets or children. I put a little hot sauce bottle, that was empty, with a small amount of water in the bottom, by the kitchen sink. When I see ants, I shake it on the area and wipe up with paper towel. No games by scaring these little pests. Just use "Eggo" syrup or other pancake or waffle syrup , and some powdered 20 Mule Team Borax. Mix 60% syrup to 40% Borax very well. Place mixture on a plate or something NON-porous, like shiny flat cardboard flat. We have got ants everywhere in the kitchen. How can I get rid of them? There is a product called Terro. It's basically a syrup that has chemicals that kill the whole colony. You put a quarter sized drop on the little cardboard pieces they give you and stick them between the fridge and stove, stove and counters, under the sink, etc. It's ok if pets or kids get into it, but it's better if it's where the ants are and not seen by curious critters. The inert ingredient is basically a sweet syrup like pancake syrup. If you can see the circle an hour or so later, you will see the entomological equivalent of a solar eclipse. They will be around the outside like a bunch of animals in a drinking hole. Then, they will take it all back and kill the rest. The other solution is to also find out where they are coming from. You didn't mention if you lived where your home connects to others? It might be they are coming from them. If so, you landlord needs to be contacted and they will pay for and exterminator for all the units effected, and charge the person causing it. Most of the time, it's simply poor housekeeping so that is an issue they can address at the same time. If you need more info, go to www.terro.com and they have everything you need to know. A small bottle costs about 4.00 and goes a long way. I was having the same problem with carpenter ants that were coming off my back deck into the kitchen. On Thrifty Fun someone suggested spraying their entry point with Pledge furniture polish. Since I had some I tried it and haven't seen an ant in 6 weeks. And I didnt have to worry about putting out something the animals could get into. How does one get rid of the small tiny ants that keep coming back almost every summer in the kitchen? As soon as you see the first ant, put out a mixure of borax and sugar with enough water to make it liquid. I use an old can lid and put it down where I have seen the first ant. They will flock to the sugar, borax, water mix. Allow them to eat/drink their fill. In about three days you will not see anymore as they take this back to the nest and it will kill those in the nest, too. I put borax and sugar in the blender to make a light powder. I place a teaspoon of this on every ant hill, where ever I see a line of ants, and about every eighteen inches all around the foundation of our house. Our neighborhood has been over run with ants. It has taken me about 4-5 years of doing this several times every summer. The ants started thinning out after a couple of years, and this spring was the first time no ants came into our home (so far, I have not put any out). I have seen some ants in the yard though, and plan on putting some in the yard before they make it to the house. No other method has worked for me. If you want immediate response, this is not the method for you - but I'd still use it along with any other method you choose. One note: the sugar actually attracts the ants, so don't be surprised to see lots more when you first put it out. A little line of talcom powder does it. Across the doorstep and along the walls where they are coming in. They won't cross it and it is harmless to everything. Be aware that borax is a poison, and is not a relatively harmless substance just because you find it in the laundry room. You may poison something else with this as well. This is not to tell you not to use, just to say that it isn't that much more environmentally friendly than a pesticide you might purchase. You might also kill some bees or "friendly" insects like ladybugs, and you would not want it anywhere near food or where your pets might walk in it. I use the little ant traps that look like little tin cans. I believe they also have a substance that the ants take back to the hill. Diatomaceous earth which is sold under a variety of names is a substance made from petrified seashells that will shred the ant's exoskeletons. Not a comfortable experience, I am sure, but it is non-toxic to pets and people. If you want to kill them in the hill, the best pesticide I have used is the Raid spray foam. It is a bit pricey, but VERY effective. It, of course, is a poison. I spray apple cider vinegar full strength along baseboard and door sill as well as on my counter tops. Kills the ants and won't harm you. It lingers quite a while to keep them away. Question: How Do I Get Rid of Ants in the Kitchen? I have these little brown ants crawling all over my kitchen counters, my sink, etc. and want to get rid of them. I have tried all kinds of things, but nothing works. I would like to know if anyone has a natural home remedy for getting rid of these pesky ants? It is kind of unappetizing to have these things crawling over the dishes and silverware and everywhere else! My husband and I live in an apartment complex and we had the same problem. There were ants crawling around our kitchen and bathroom floors. I called the management office and one of the maintenance men gave me a box of Raid Double Control Ant Baits. There are 3 in box. The front of the box says that it kills the colony and keeps killing for 3 months. It definitely took care of the problem. You must be careful where you place these. This is toxic to children and pets. This does not work instantly. The ants will take this back to the nest. Eventually all the ants will die. I have found boric acid in dollar discount stores. 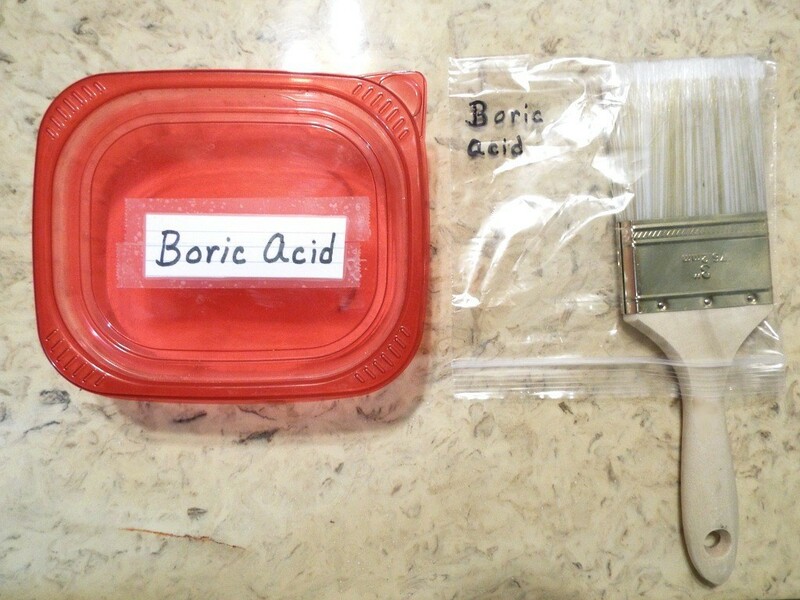 As it is with any powder chemical, be careful when adding the boric acid that you do not inhale it. As a precaution, I always place these in areas of our home in the spring whether I see ants or not. Mix in large bowl until dissolved. Add some cotton balls to three jelly jars or something similar. Pour some of the mixture onto cotton balls in each jar. Do not fill completely. Leave small amount of mixture on the sides outside of the jars to lure the ants. Tightly place lids with small ant holes on jars. Put in areas where you see the ants but out of reach of children and pets. Does anyone have a suggestions on how to get rid of ants? They are on my kitchen counter and believe it or not in my bathroom! Please help. Well, the ants come from outside and they may have built a nest in your wall cavities so you could hire a exterminator to spray the foundation on the outside. They use a product that the ants carry back to the nest to feed on and die. In my state we have only two types of ants. The small red ants and the black carpenter ants. I hire an exterminator every three years or so to rid the ants. They disappear in about 2 days. I have ants in my kitchen; how can I get rid of them for good? I had great success with a 50/50 mixture of sugar and Borax (the powdered laundry soap). However, if you have small children or pets, you have to be careful where you place this mixture, because it can make them sick if it was to be ingested. If you know where the ants are coming in, you can just sprinkle it in that area. The ants are attracted by the sugar, and take pieces back to the nest to share with the colony. This mixture kills the ants, (including the queen), when they eat it. (Or, you can sprinkle the mixture along the outside of your kitchen wall, but the same precaution applies if you have small children or pets). If more than one colony is entering your kitchen in different places, you may have to sprinkle the mixture in each area. An alternative is to use peppermint essential oil. You can mix the oil with water, then spray the areas where you see ants coming in. Or you can simply place drops of the oil in those areas. It must be real essential oil, which can be purchased in a natural food store, natural health store, or online. Essential oils don't actually kill ants, but the ants are so repelled by the smell, they won't want to visit your kitchen anymore. LOL! Your kitchen will smell minty for awhile, until the ants find another food source. NOTE: Essential oils should not be inhaled or ingested by cats or other small animals. Put a line of talcom powder across the place where they are coming in. They won't cross it. Please help I have ants are all in my kitchen. Vinegar is cheapest, cleanest and easiest way to get rid of them. I used white but imagine cider would work as well. I put it in spray bottle and wiped everything down. If I saw an ant I sprayed it then threw it away and then sprayed trash. They do leave trails that others will follow. Now about once a week I walk around entire house and give a vinegar spray. I have not seen another one. I have tiny ant like bugs all over my kitchen. I keep all the water wiped from sinks and spray, but they just move to another area. I live in Georgia and I have never seen ants like this. They are really getting out of hand. Any suggestion on how to keep them out of my kitchen? Sprinkle cinnamon around where they are. They hate the smell and will leave immediately. Plus your kitchen smells nice. I am a vegetarian and try not to kill living things and this includes ants. Is there anything I can use to keep ants out of the kitchen without killing them? I am having a hard time with ants in the kitchen. Is there something I can do to get rid of them? It seems like every spring I am having this problem. I seen people saying apple cider vinegar works to get rid of the tiny ants. I was wondering if it really worked and have also seen people saying peppermint oil, would peppermint extract work? We can't tell/see where they are coming from because of the way our kitchen is built/setup. I am using the baking soda/powdered sugar trick and they are running away from it, it seems they are attracted to water only, from what we have tried. So I was wondering if the apple cider vinegar and water, or apple cider vinegar and peppermint extract would work? or even peppermint extract with water. Please help! I am getting annoyed with the ants, seeing as how they are in the kitchen and taking over. And we don't have very much money, so I am trying to use what I have to kill the ants and keep them away. How can I keep ants off my kitchen cupboard? I kill them by using non stick cooking spray! It kills them if they are the little black ants. I live on a fixed income and just moved into a new house and have already spent all my money on my bills and rent so I have nothing left over at the moment to buy baits. I was wondering if there was something I could use to repel the ants I found in my kitchen cabinets today while cleaning and organizing. I've already removed all my food and sprayed down the cabinets with Lysol, but I don't want them to return any time soon. So, is there any solution for me? Bits of food and even water can attract ants to your dishwasher. Finding the way that they are getting into your home is an important step in getting rid of them. Many homeowners have found that Terro is a very effective product to use to treat the nest by having the invaders carry it back. This is a guide about getting rid of ants in a dishwasher.